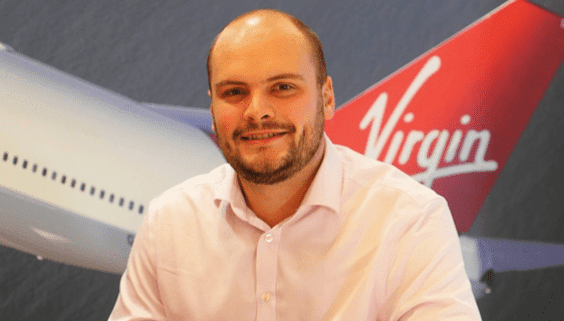 Nigeria’s population is projected to hit excess of 500 million by 2050, according to Country Manager for Virgin Atlantic Airways, Samuel Lindfield. Lindfield, in an interview with a popular aviation website in Lagos, noted that it would bring huge opportunities from the regions of Nigeria, stressing his airline would love to be at the forefront of tapping into the burgeoning aviation market that the country would have at that time. He noted that the airline would always welcome the idea of expansion in Nigeria, which has for many years been a successful market for Virgin Atlantic. His words: “We would always welcome the idea of expansion in Nigeria, which has for so many years been a successful market for Virgin Atlantic. Should the right opportunity arise; it’s definitely something we would consider. There are indications that Nigeria’s passenger traffic could hit 32 million by 2036 if the country maintains the momentum between now and that period. This figure is part of the projection of the International Air Transport Association (IATA) that it expects 7.8 billion passengers to travel in 2036, a near doubling of the four billion air travellers expected to fly this year. The Nigeria Bureau of Statistics (NBS) had put both domestic and international passenger traffic for 2016 at 15.6 million, which many consider too small for a population of approximately 170 million. The expected growth would put enormous pressure on infrastructure that is already struggling to cope with demand, except something is done urgently. According to the clearing house for over 280 global carriers, in 2016 there were a staggering 3.8 billion air travellers, a number it predicts will balloon to 7.8 billion passengers by 2036 – a near doubling of current levels. The forecast is based on a 3.6 per cent average Compound Annual Growth Rate (CAGR) stated in the release of the latest update to the association’s 20-Year Air Passenger Forecast. Nigerians are said to be very mobile people. As people continue to migrate to cities for economic opportunity, the middle class will expand, thereby affording more people income to travel. Rising Gross Domestic Product (GDP) and consequently, disposable income and living standards result in an increased demand for air travel for both business and leisure purposes. Although living standards is one of the most important determinants of the number of enplaned passengers, it is important only until a point. The airline chief further stated that work was still required to further improve the airport infrastructure to levels they are accustomed to elsewhere in the world, adding that they appreciate the openness and willingness of the airport authorities to work with them to better the airport experience for their customers and crew. “I have certainly seen great strides of progress over the last eighteen months. I don’t like to see business in terms of challenges, but rather in terms of opportunities. We see significantly increased year-on-year industry capacity from Lagos, which for most airlines would be a bad thing. Lindfield further said they welcome competition between Lagos and London to better the interests of their customers. airlines flying across the world would help to better investment in the airport and create connections for different airlines to work together. “We offer a premium direct service non-stop to London Heathrow from Lagos. We are the only airline with direct service to London that offers aisle access in every Business Class seat and an on-board bar for our customers to enjoy throughout their journey. “We have re-created our on board menus from Lagos, and now offer our customers the latest Nollywood films on our flights. Our fantastic service, coupled with our particularly excellent operational reliability from Nigeria, speaks for itself,” he added.